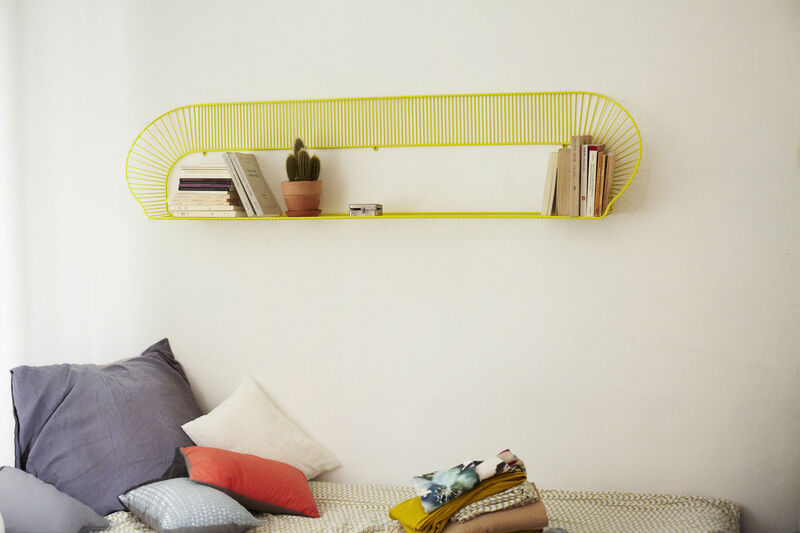 Amandine Chhor has designed this new shelving unit, called 'Loop' for Parisian firm Petite Friture. 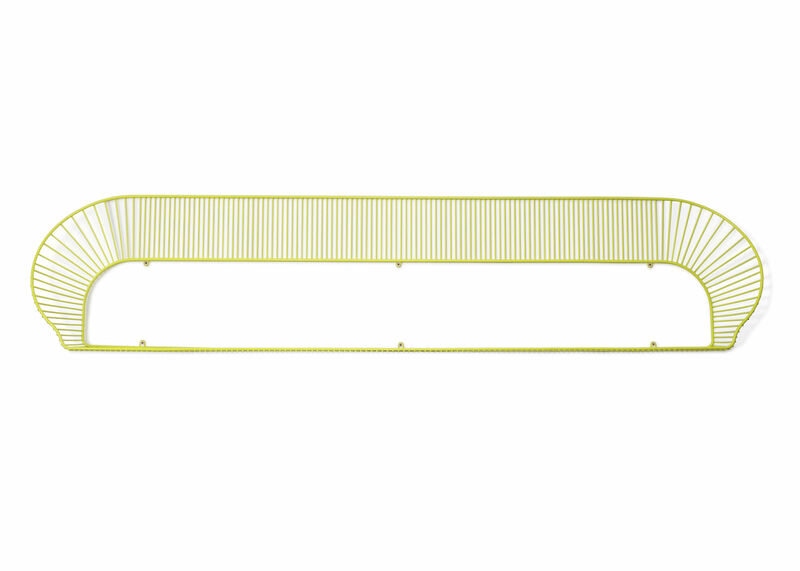 It's the result of research carried out in a factory specialising in the industrial production of soldered steel wire storage trolleys. 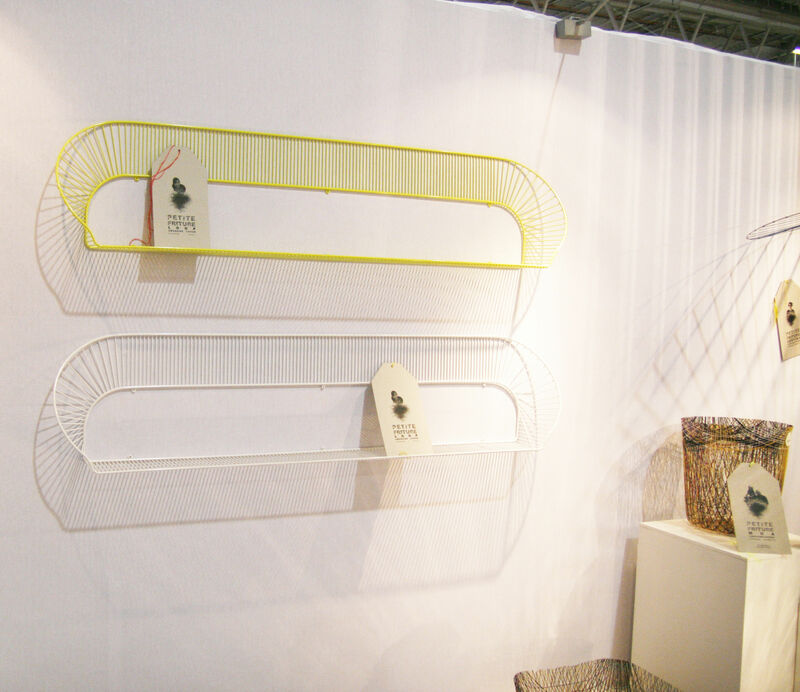 By studying how to generate new curves by optimizing the constraints of the material itself, Chhor came up with this much more domestic adaptation of the technique which has a brilliant mid-century vibe. 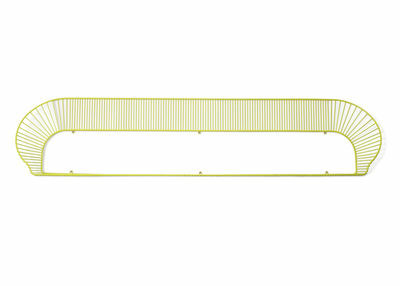 The long hanging shelf comes in lemon yellow (very 50s!) and classic white. 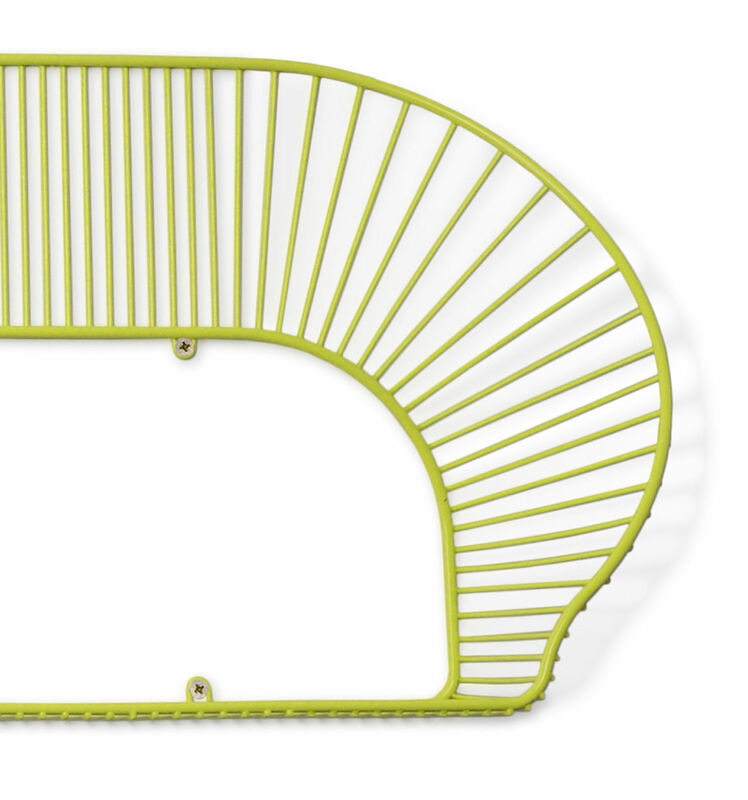 We reckon it'd look great over a little home work desk to store your papers or even in the kitchen as a suspended veg rack.